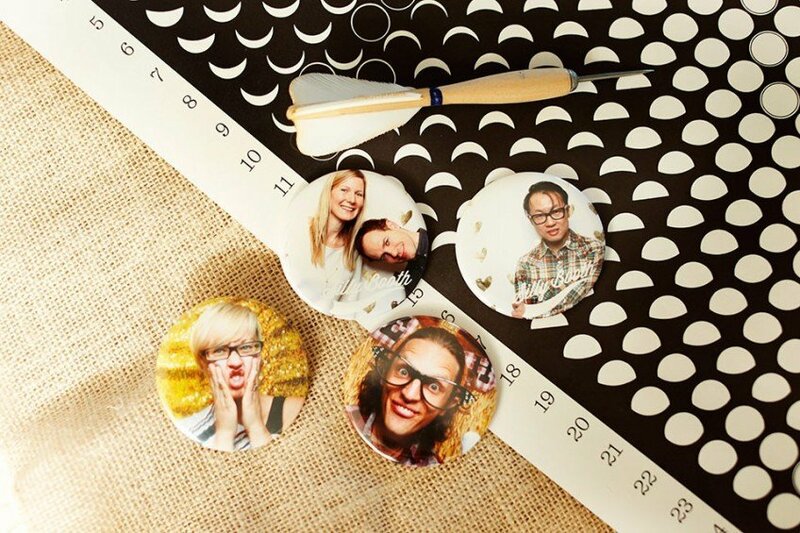 We are so excited to tell you about Instant Photo Buttons, our latest add-on for our photo booth. It’s simple. Take a picture in our photo booth and we will make a button with your photo on the spot. Our buttons all have magnets on the back so you will be able to take them home and stick it on your fridge or some other metal surface. They are 2.25″ in diameter and feature a mylar coating to protect the photo. We can can also put pins on the back instead of magnets if you like. This add-on is available with our photo booth service in Calgary and Vancouver.